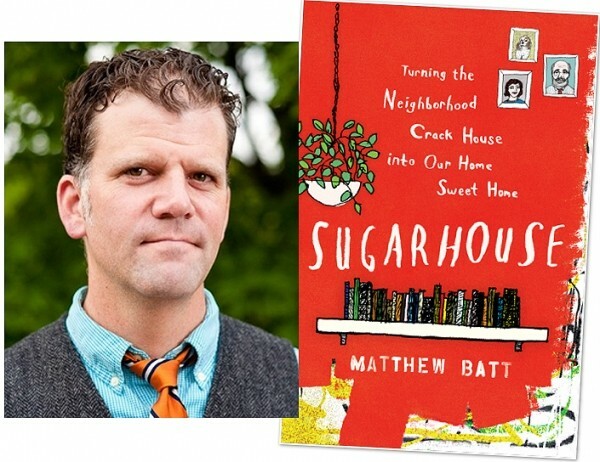 The subtitle on the cover of Matthew Batt’s memoir, Sugarhouse, reads “Turning the Neighborhood Crack House into Our Home Sweet Home.” His publisher’s attorneys might prefer that you think of the term metaphorically rather than literally. The house in question is in the Sugar House neighborhood of Salt Lake City, where Batt was a doctoral student at the University of Utah from 2001 to 2006. Sugarhouse chronicles the efforts by Batt and his wife, Jenae, to rehabilitate the run-down property they bought as their first home in summer 2002—and does so with a hilarious perspective on the virgin do-it-yourself fixer-upper experience for an academic more comfortable with dangling modifiers than hanging drywall. What began as a simple, light-hearted look at the adventures of first-time home ownership, however, evolved into a more substantive memoir. At around the same time Matt and Jenae were working on their home, Matt’s family was undergoing emotional turmoil: the death of his grandmother; health issues facing his mother and grandfather; and the realization by Matt that his now-widowed grandfather—the significant father figure in his life—had been having extramarital affairs for years. Now that the experience of writing Sugarhouse is in the rearview mirror, Batt is able to recognize how the writing process itself changed the way he thinks about the events he went through. “In so many ways, I would recommend that everybody write a memoir,” Batt says. “It really is so edifying in terms of your self-knowledge and knowledge of the story of your life.